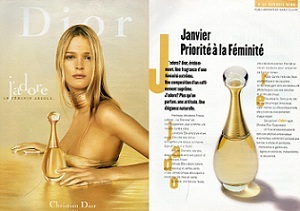 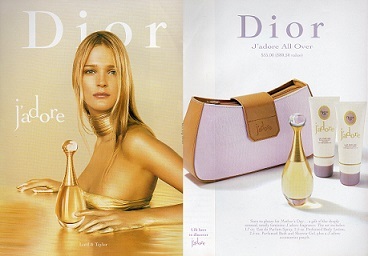 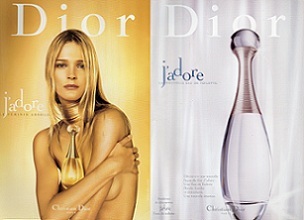 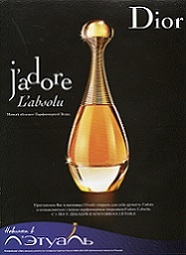 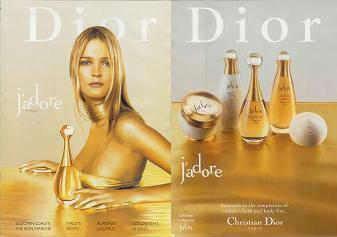 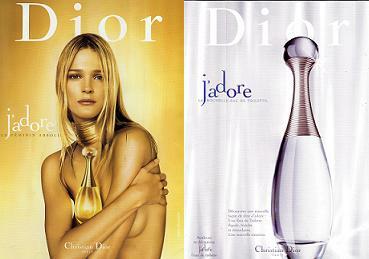 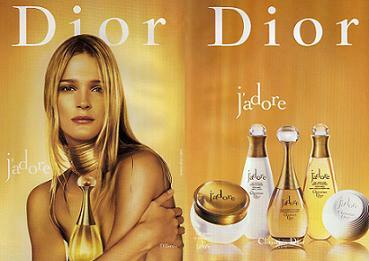 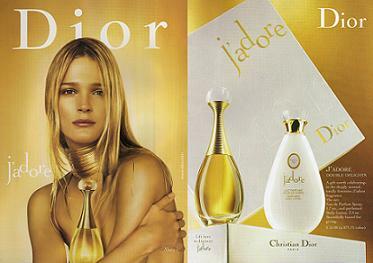 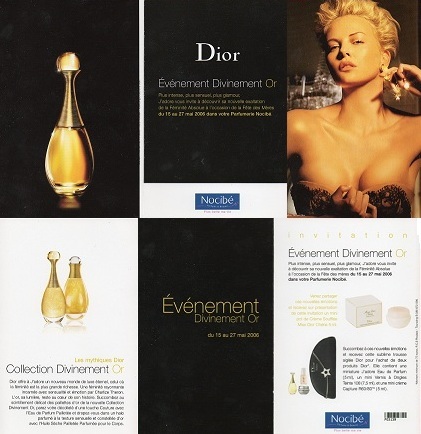 USA 2000 "A complimentary sample awaits you at the Christian Dior Counter"
USA 2000 "A complimentary sample awaits you"
USA 2001 "Winner Best new fragrance award 2001"
France 2006 "Charlize Théron pour J'adore"
USA 2006 The Bay USA 2006 "Charlize Théron. 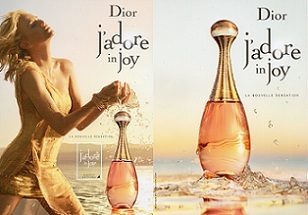 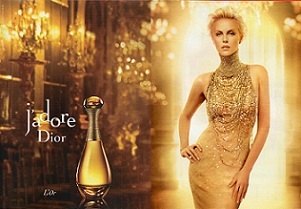 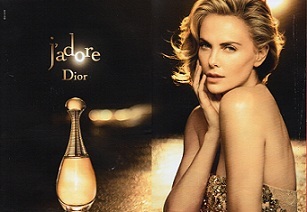 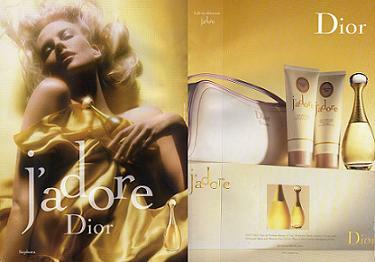 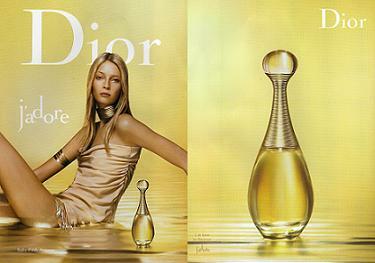 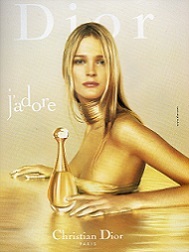 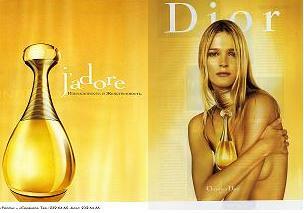 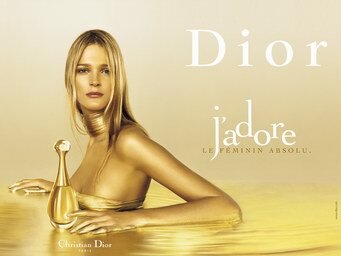 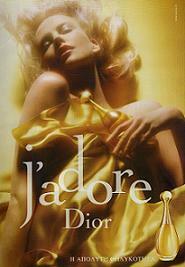 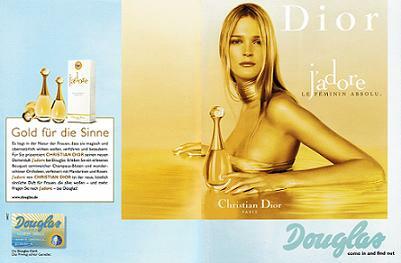 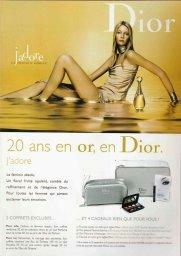 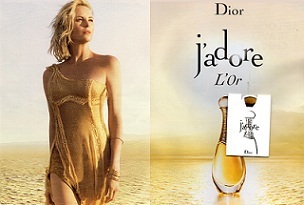 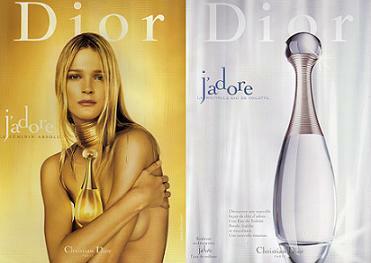 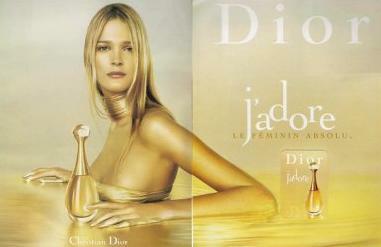 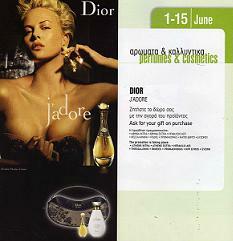 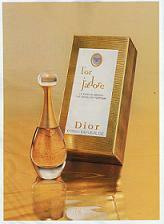 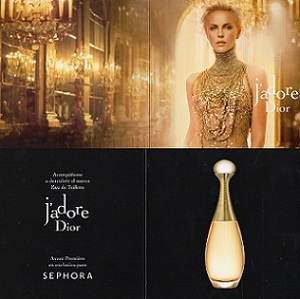 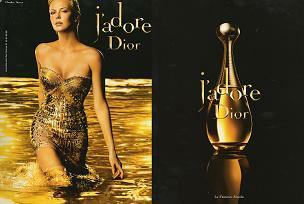 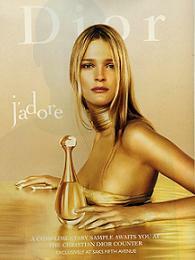 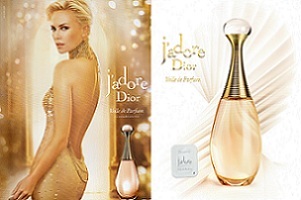 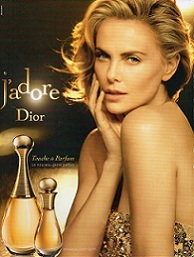 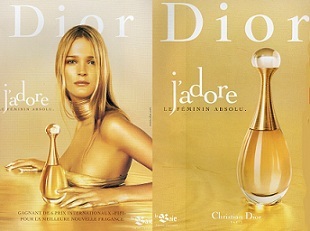 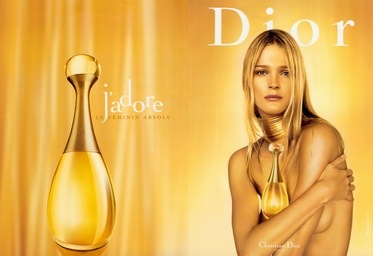 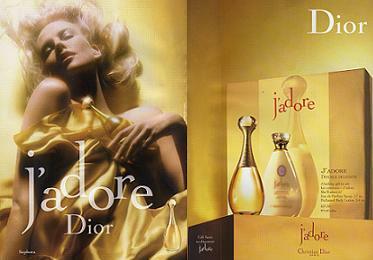 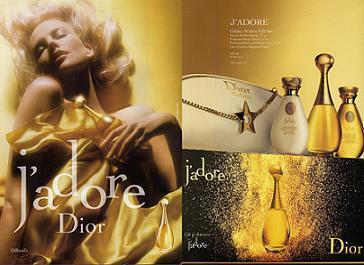 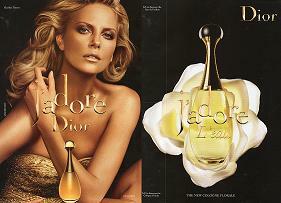 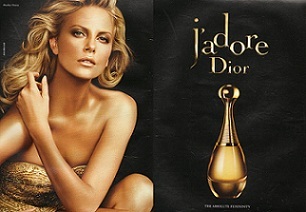 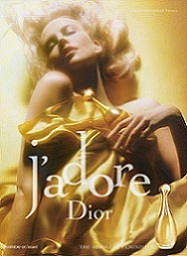 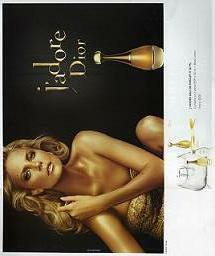 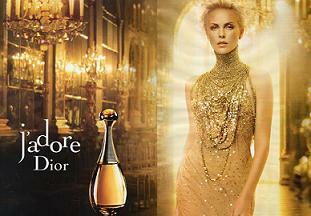 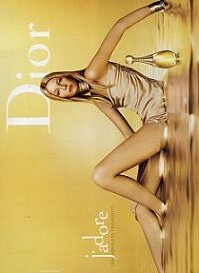 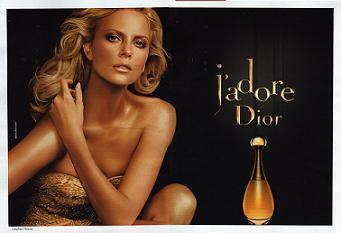 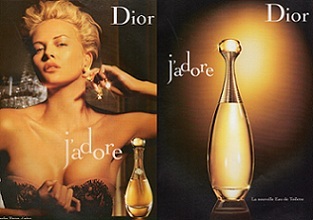 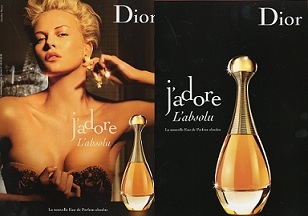 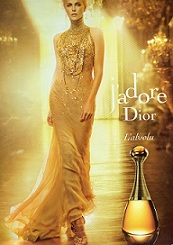 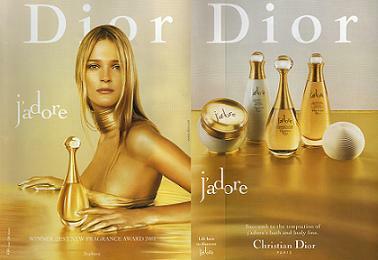 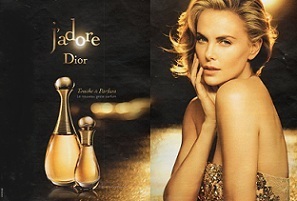 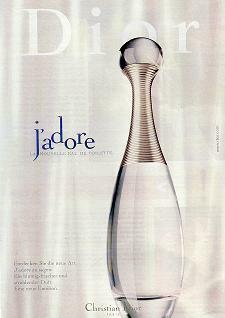 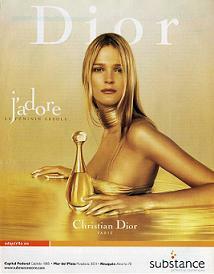 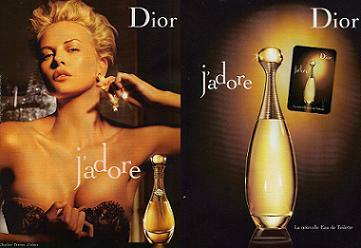 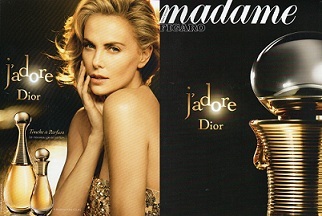 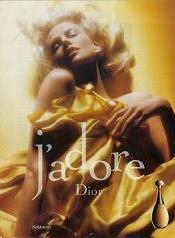 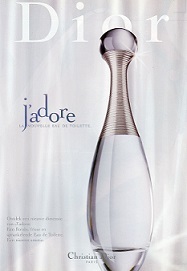 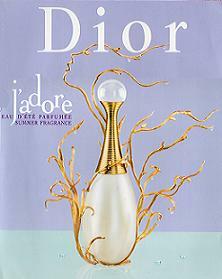 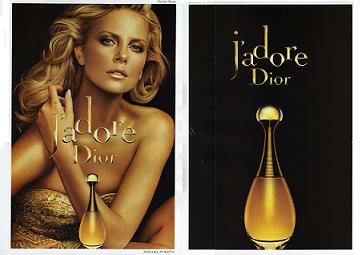 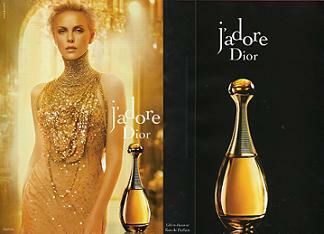 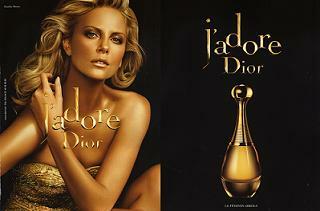 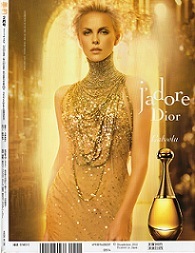 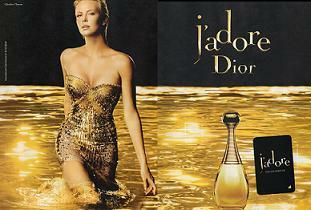 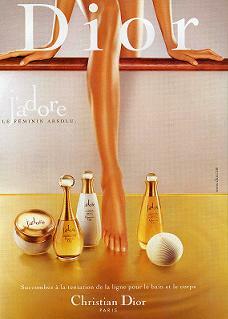 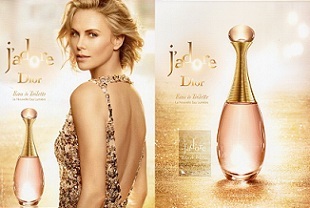 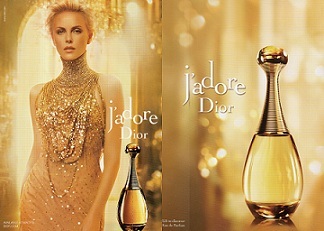 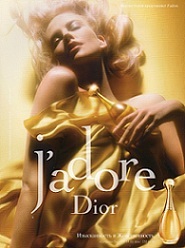 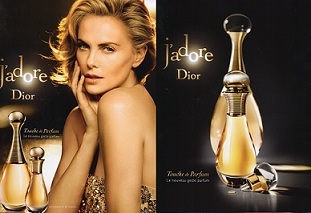 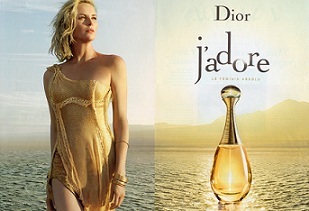 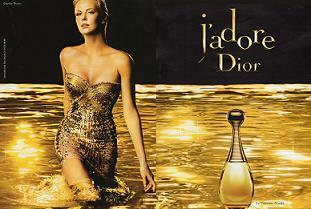 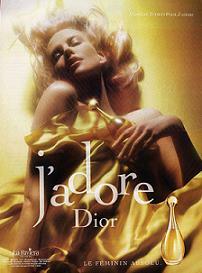 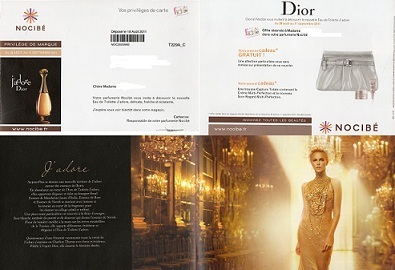 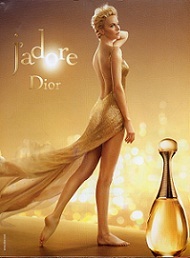 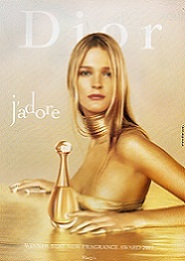 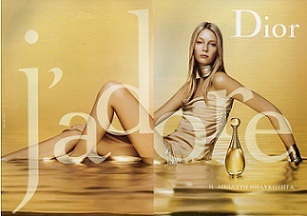 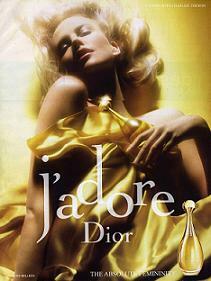 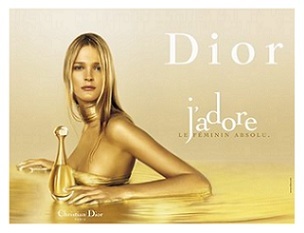 Dior" USA 2006 "Charlize Théron. 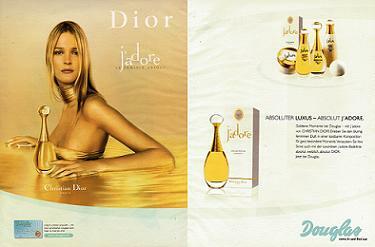 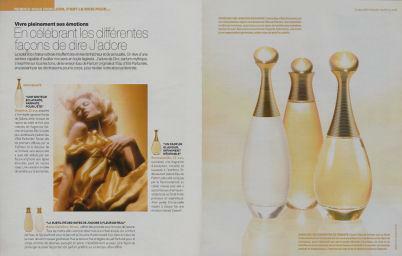 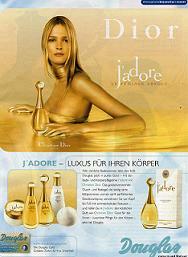 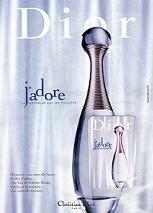 J'adore"
France 2010 "Le Féminin absolu"
France 2006 double page Marionnaud "Collection Divinement Or"